Want to learn about the most popular Edmonton siding options? Learn about Hardie board, vinyl siding, CanExel, Longboard and wood look accents, stone veneers, cedar siding, and more. Whether you are just starting your research into the siding options for your home, or you've been in the industry for years, there are so many products to choose from that it can be tough to keep track of them all! There are countless exterior siding options in Edmonton. Here are some of the most common siding materials that homeowners are choosing for their renovations in Edmonton. If you would rather talk to us directly instead of going through the site, visit our contact page or book a consultation! James Hardie Fiber Cement Siding & Trim is known all over Canada and the US as one of the most beautiful and durable exterior siding products you can choose for your home renovation. It's no wonder that James Hardie siding products have been installed on over 6 million homes across North America! 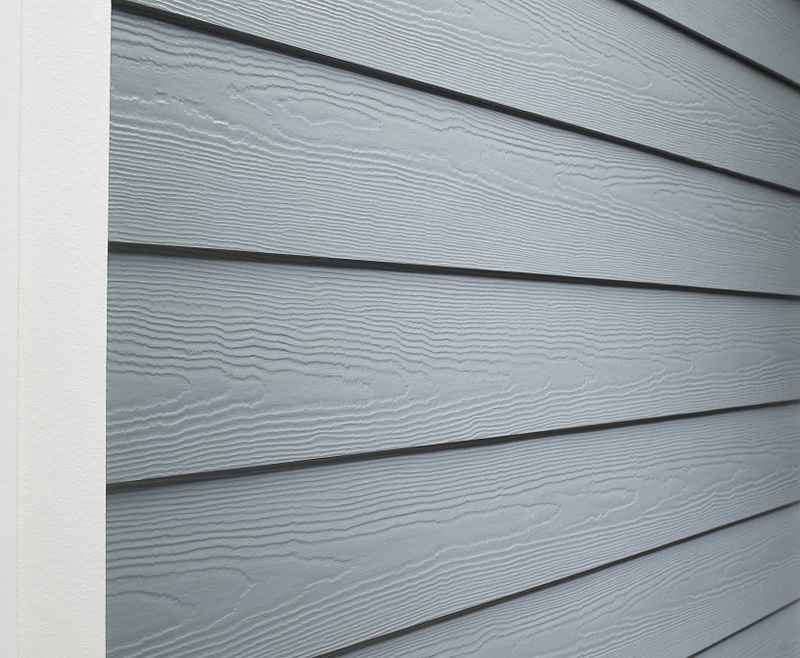 Click the link below to learn more about James Hardie fiber cement siding! For the last 30 years, when a homeowner in Edmonton has replaced the siding on their home, vinyl siding has been the go-to choice! Vinyl (PVC) siding is Edmonton’s most popular siding because it’s readily available in a wide variety of colours, and it's usually the most cost-effective siding material to purchase and install. Blue Jay Exterior Renovations installs many different types of vinyl siding including standard grade vinyl siding, premium grade vinyl siding, and insulated vinyl siding. If you need to replace your home’s siding on a budget but still want it to look great, count on Blue Jay Exterior Renovations! If you want to give your home’s exterior more character, consider engineered wood siding from CanExel! Today’s engineered wood siding products can withstand Edmonton's moisture and cold and will look great while doing it! The deep, authentic wood grains in engineered wood siding give homeowners the beauty of traditional wood siding while offering a low maintenance alternative. Cedar siding has been a favourite of Edmonton homeowners for decades. While the maintenance can be high, its hard to resist the beauty of natural cedar cedar on your home. For years, homeowners across Canada have chosen stained wood siding for its rustic charm. These days, the cost and maintenance requirements put stained wood out of reach for most people. Luckily there are several new products available that offer the same warmth and charm with almost none of the maintenance! For homeowners that want a classic accent to anchor the front of their home's exterior, cultured stone is the way to go! Cultured stone gives you the weight and feel of quarried stone at a fraction of the price. We are proud to install a wide variety of soffit and fascia products. From your standard aluminum vented soffits, to high end finishes like Longboard, we’re here to help. © 2019 Blue Jay Exterior Renovations Inc. All Rights Reserved.